Over the weekend, Tom Cross and his campaign picked up some good news and strong momentum heading into the final 40+ days of the campaign. First...some 3rd party polling came out - and we'll cover that in a different poll. But, the bigger news is that Democrats continue to abandon Cross' opponent Democrat Mike Frerichs. Giannoulias is the second high profile Democrat to jump ship from the sinking Frerichs' ship in the past week. 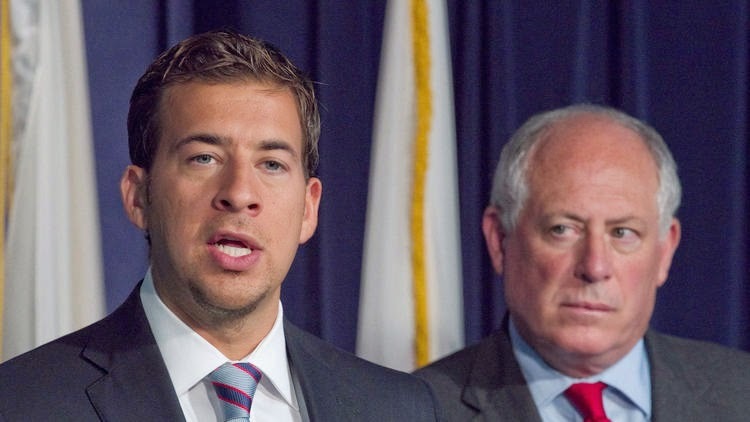 Former Democratic state treasurer Alexi Giannoulias on Sunday endorsed Republican Tom Cross over Democrat Mike Frerichs for the job of managing Illinois’ money. “While I’m not in politics anymore, and who I’m friends with and who I think would be a good leader is probably not important to a lot of people, I do appreciate the fact that Tom Cross has done his homework on the office of treasurer,” said Giannoulias, a senior director at BNY Mellon Wealth Management and chairman of the Illinois Community College Board. Has to be devastating to Mike Frerichs to see the past Democrat State Treasurer join forces with the Republican.